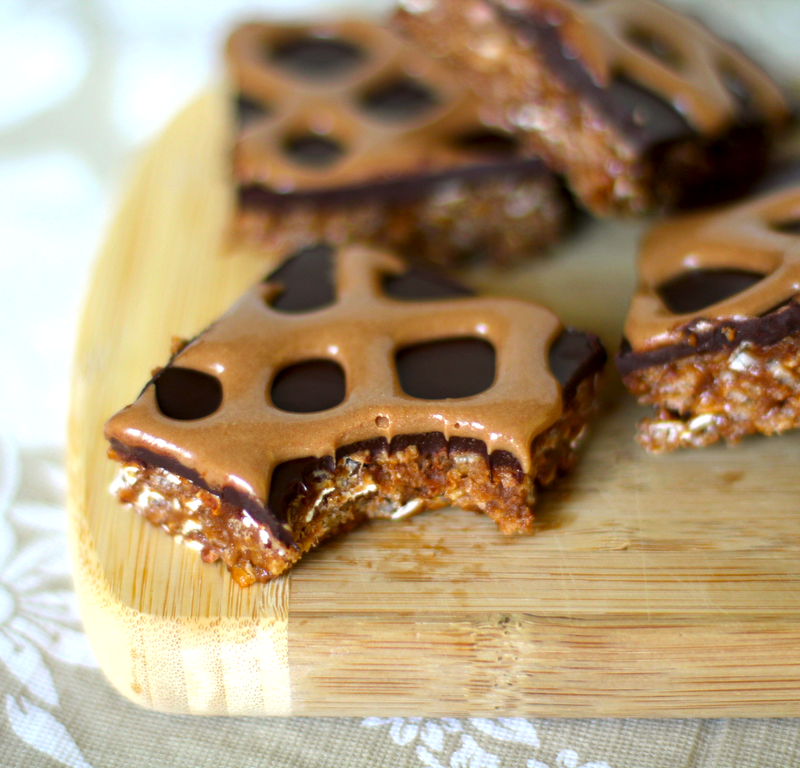 These Healthy Peanut Butter and Chocolate Krispy Treats are rich, sweet, crunchy, and chewy. They sure don’t taste refined sugar free, high protein, and gluten free in the slightest! Too bad that Rice Krispies are full of salt and sugar, not to mention, high glycemic. But if you are like me and love Rice Krispies, then the brown rice version is a godsend. They taste like the real thing, too. 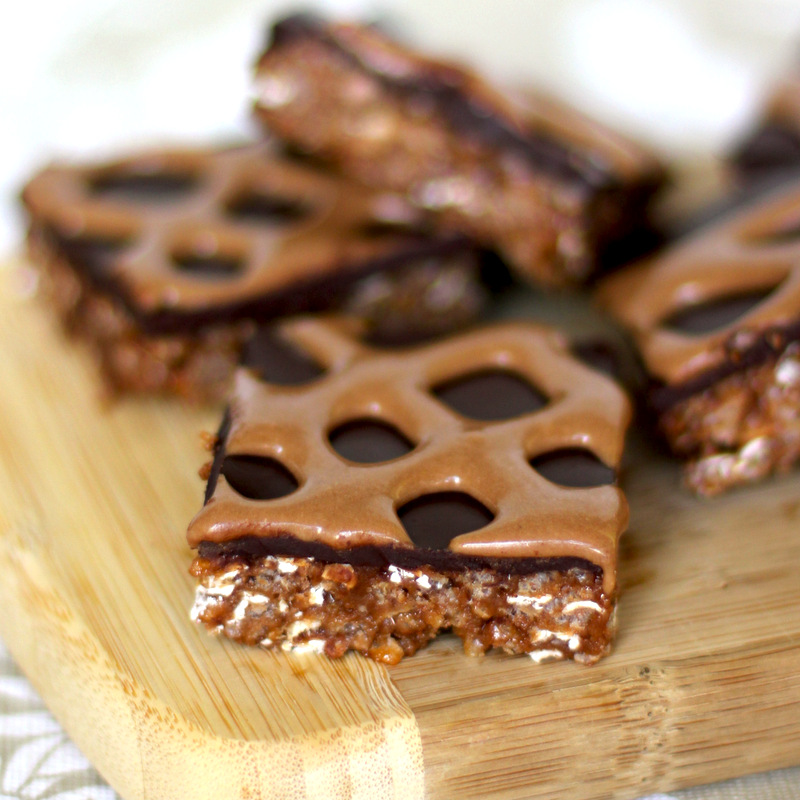 This healthy replacement goes perfectly in these Healthy Peanut Butter and Chocolate Krispy Treats! They add an awesome crunch, likable texture, and great taste. These bars are held together by peanut butter alone, unlike similar recipes that use peanut butter and butter (but the butter is totally unnecessary, these bars stayed together very well). I am sure you have heard that dark chocolate is healthy for you. In moderation, of course, dark chocolate can lower your LDL cholesterol and lower blood pressure levels. 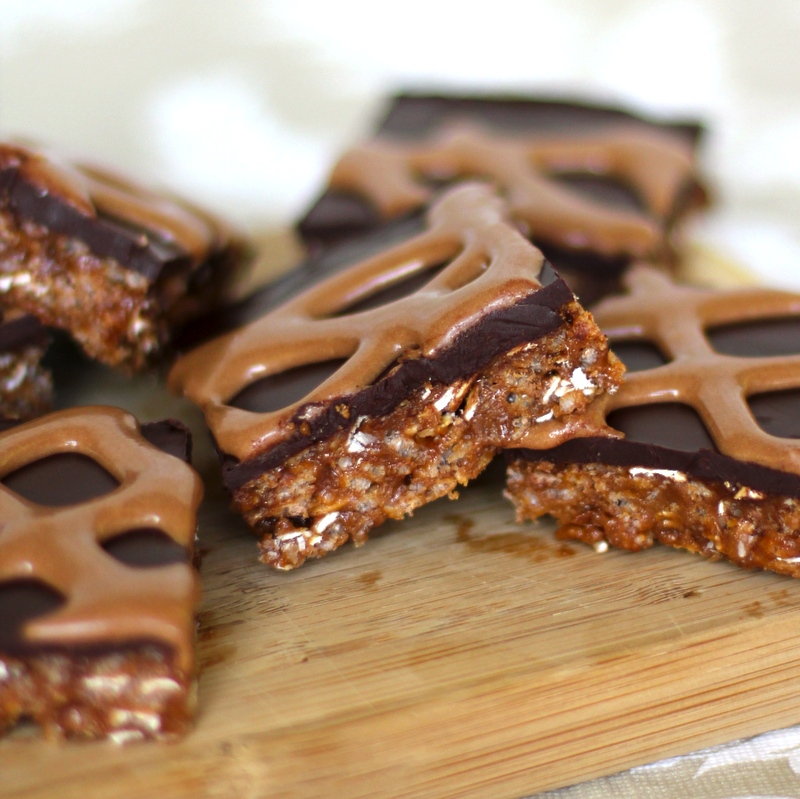 Soooo, I topped off these krispy treats with chocolate! 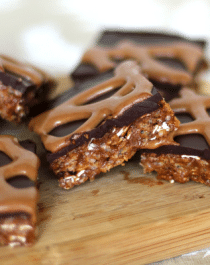 These no-bake, low-glycemic treats are delicious. They were gone within minutes. I’m serious. 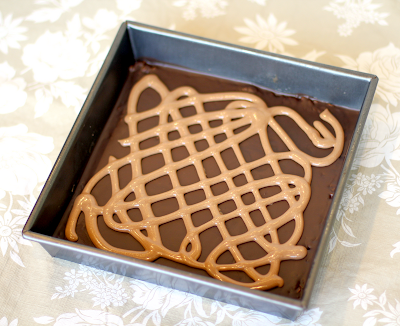 Line an 8x8” brownie pan with parchment paper. In a medium-sized bowl, add the crispy brown rice cereal. In a large bowl, stir together the brown rice syrup, peanut butter, vanilla extract, stevia extract and salt. Stir in the protein powder. Dump in the crispy brown rice cereal and gently fold together. It will take a few minutes to get everything incorporated (you can use your hands if you like)! Scoop the mixture into the prepared pan. Flatten it out and press it down to make it compact. Spread the melted chocolate over the krispy treat layer. Refrigerate while you make the frosting. 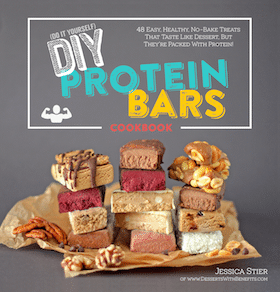 In a small bowl, stir together the protein powder, maple syrup and peanut butter. Scoop the mixture into a piping bag with round tip (#804) and pipe the frosting over the chocolate layer. Refrigerate for 30 minutes, then slice into 16 squares. 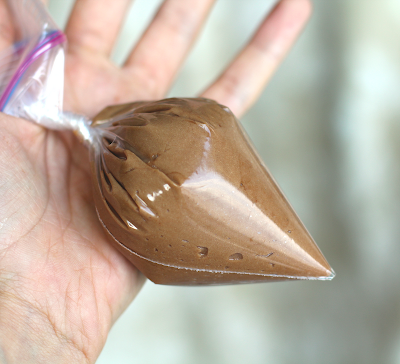 Serve immediately, or store in a tightly sealed container in the fridge. Keeps for ~1 week. **Depending on the protein powder you use, you may need to add water to make it "pipeable" -- I sometimes add ~2 tbs. Watch how to make these Krispy Treats! Wow! These look awesome. I thought when you said these were healthier bars, it couldn’t be true–but you did it. I love the changes you made! Your opening photo is stunning! Really lovely!! This is my first visit to your blog – I think I’ll have a look around. I have no words for how healthy and delicious these look. Hi, love your site. I’ve been trying to be healthier and tryng o lose some pounds. I was wondering if you will incorporate nutrtion information for your recipes in the future. I’m trying to track how much i’m eating, nutrtionals would be most helpful. Thanks. (1) can I use vanilla brown rice protein instead of egg? (2) can I use chocolate whey protein instead of egg? 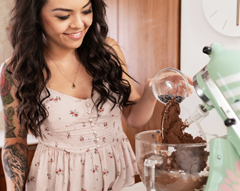 (3) is there a way to use 100% cacao powder rather than dark chocolate bars? (4) can I use rice milk instead of soy or is that not such a good idea? Can’t wait to make these. My next project is non-dairy, gluten-free pizza! PS: good luck with the dairy free gluten free pizza! I’m craving me some pizza right now! 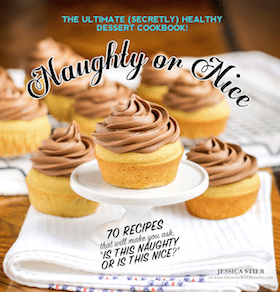 Omg all of you desserts look delicious! Def will be trying one this week.